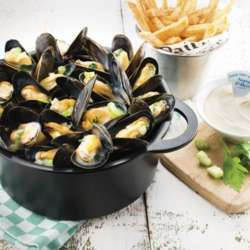 Let's meet at this nice place again and try a different type of mussels. There is also fish and chips or meat or burgers if you don't like seafood. Everybody welcome!